Child Helpline Mauritius: Online counselling for children and young persons in Mauritius has been launched today at Le Labourdonnais Waterfront Hotel, Mauritius. 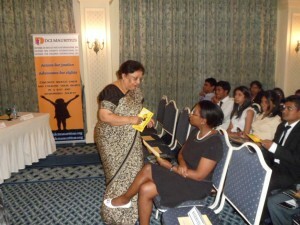 The project was officially launched by H.E The President of the Republic of Mauritius in the presence of the Hon. Minister of Gender, Equality, Child Development and Family welfare. Other stakeholders involved in this project were also invited namely the Ombudsperson for Children, and the chairman of the National Human Rights Commission ais Waterfront Hotel, Port Louis, Mauritius in September 2012. 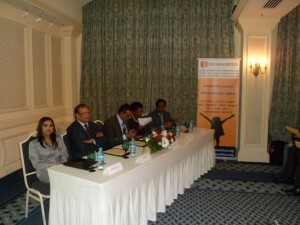 Defence for Children International – Mauritius is a a major partner in this project. DCI-Mauritius is working at addressing legal issues that are being encountered by the online counsellors and also to direct and refer to appropriate authorities such as the Police in cases where the risk of abuse/violence is real. Since the launch, DCI-Mauritius has been asked to intervene in cases of custody, marriage by minors, harassment among others.